Ashleigh is a writer, dancer and animal lover currently residing in Las Vegas, Nevada. She spends her days working in the marketing and public relations and her nights behind the keyboard or the pages of a good book. 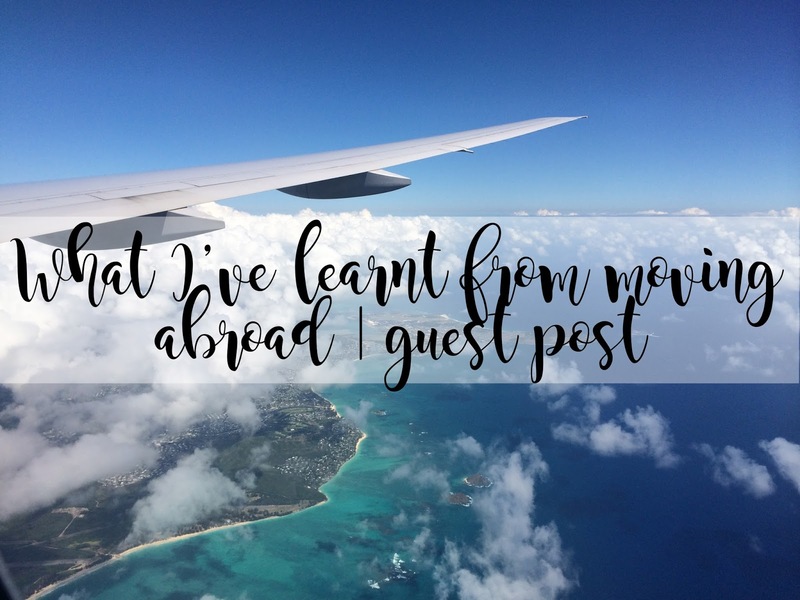 Today Ashleigh is going to be sharing what she has learnt from moving halfway across the World! Honestly, I was kind of intimidated by the thought of not having anything but a suitcase for the first few months that I would be on island. But my eyes were opened to the kind of freedom that comes from being able to fit all of your belongings in your suitcase, despite a few things that I needed to pick up here and there. But I’m glad it opened my eyes to much more than the materialistic living that I had always been surrounded by in the city. Granted I’m not perfect, but having my eyes opened is a great first step! While this one isn’t so insightful, it’s going to be ridiculously helpful down the road. Maybe it’s my fear of Murphy’s Law coming for me, but just in case something happens it’s good to know where to go before, rather than try to find out during whatever happens and you find yourself scrambling. 4. Have all of your personal documents and medical documents in your possession.I seriously dropped the ball on this one. I didn’t get a copy of my medical records before leaving stateside. It honestly slipped my mind with all the other craziness that was happening in my life. So now I face the super fun task of trying to send a medical release their way, have my records sent to me and deal with the less than helpful staff. But seriously, without my mother being in the city, I probably would have been screwed. 5. Different is not a synonym for bad.Wearing shorts during the time I used to know as winter. Making plans to barbecue on the beach in December. Celebrating New Years Eve at a pool party. Just a few things I find very different about my new home, but definitely not bad! 6. Network, meet people, and make friends. While this kind of piggy backs off of number six, it’s true in all aspects of life. Try the food, try the common hobbies, or even just drive around to get yourself acquainted with the area. I quickly found out how much I love the local food in Guam! Kind of a fear for me that I wouldn’t care for the cuisine here since I don’t eat fish, but I am so glad to be wrong! I’m still working on this one daily, but it has definitely provided me with some rewarding experiences. Not just Chamorro, but Japanese as well. I’ve learned about different ideals of beauty outside of the western culture. I’ve learned different customs and practices, like how and why Japanese don’t tip (a fun fact I was educated about quickly behind the bar). There’s so much more, different, scary and amazing things than what we are exposed to on a daily basis.